Mock Orange. 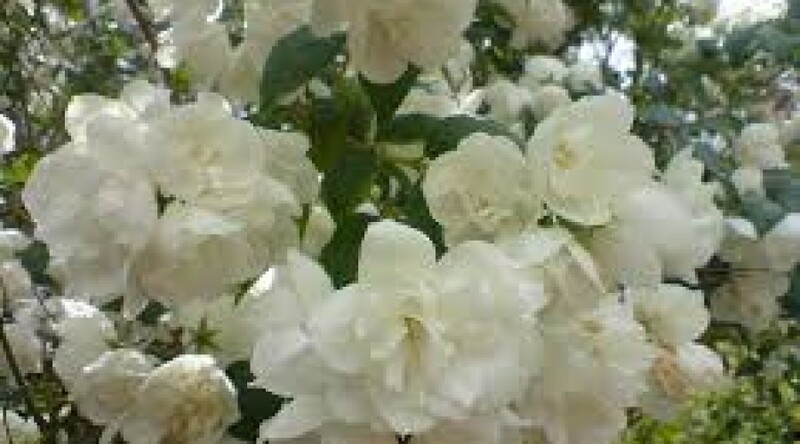 An arching shrub with clusters of double, very fragrant, creamy white flowers. Height 75cm. Spread 1.5m. Flower colour White. Flowers from June to July. Deciduous.